Chinnor and Sedgley Park are on the cusp of National One, but who will take the next step? Of course, this is referring to the National Two play-off as Chinnor and Sedgley Park have one final shot at reaching the third tier of English rugby this term. For both clubs, they could easily have won their respective divisions, but now it becomes a one game shootout at Chinnor’s Kingsey Road on Saturday afternoon. A mixture of excitement, hope and nerves will be on display this weekend. Saturday’s play-off clash is the biggest game for both clubs for a few years and while Sedge look to move back into National One for the first time since 2013, Chinnor are out to create history. Both Chinnor and Sedge surpassed 1000 points scored in their domestic campaigns. At times, they blew teams away and their electrifying performances can be rewarded by securing a place in National One. Sale FC and Cinderford have already collected their tickets to National One and one of Sedgley Park and Chinnor are on the verge of joining them. 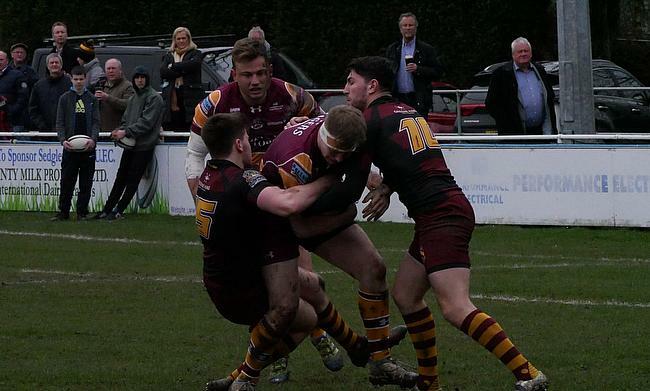 In terms of Sedgley Park, they achieved their first top two finish in National Two North since 2015/16 when they faced Old Albanian in the play-off. After a strong campaign where they finished behind Macclesfield, Sedge could not advance to National One as they were well beaten by OAs down in Hertfordshire. It has been a steady journey back into the play-off place for the Manchester-based club and over the past two seasons, they have continued to be a force in National Two North. In Dean Schofield’s final term in charge, the men from Park Lane finished in fourth place before a new era began at Sedge. Matt Bebbington joined the club at the start of the year and the head coach has certainly taken Sedge up a level. In total, they have scored over 150 tries this term and only the tiniest blips in form in September and December, along with a very strong Sale FC side, held them back from winning the title. Bebbington knows what it takes to win promotion in the National Leagues having guided Stockport to National Two North in 2013/14 and he has now awoken Sedgley Park once again. Sedge will be travelling down to Oxfordshire on merit. The way they have ended the season by picking up 14 wins from their last 15 matches sends out a statement to Chinnor. They are an attacking juggernaut and they will have to be at their clinical best if they are to defeat a strong Chinnor side and upset the play-off form book. Since the National Two play-off was introduced eight years ago, only two sides from the north have sealed promotion to National One via this route – Darlington Mowden Park (13/14) & Ampthill and District (14/15) – and a northern side has never won the play-off away from home. With these stats in mind, being at home could be key on Saturday afternoon for Matt Williams’ side as they look to reach the highest level in the club’s history. You have to admire Chinnor’s character. After the huge disappointment of missing out on a top two place after such a strong campaign last year, the Black and Whites have responded emphatically by mounting yet another title challenge, but also finishing in the top two with relative ease. Williams has continued to inject class into his squad and they have been rewarded. Chinnor secured 26 wins in National Two South this season and ended the term on 131 points – five more than Sedgley Park. Their title ambitions were dashed when they lost to eventual champions Cinderford back in January, but the resilience and spirit Chinnor displayed shone through in their final fixtures of the term. The countdown has started to this weekend's massive fixture for @ChinnorRugby. Please share all our media posts this week so we can fill the ground on Saturday and get the place rocking!!!! A defeat away at Canterbury in their penultimate game was a wake-up call for Chinnor, but they responded in typical fashion by producing a cutting-edge performance against Clifton on the final day. This is the second successive year that Chinnor have challenged for a place in National One and this play-off clash is arguably the biggest game in the club’s history since promotion into the National Leagues 12 years ago. Kingsey Road is set to be packed to the rafters on Saturday afternoon and the home crowd will be hoping to witness another piece of Chinnor’s journey. Chinnor have lost just twice in two years on their own turf, but that impressive record may count for nothing on the weekend. 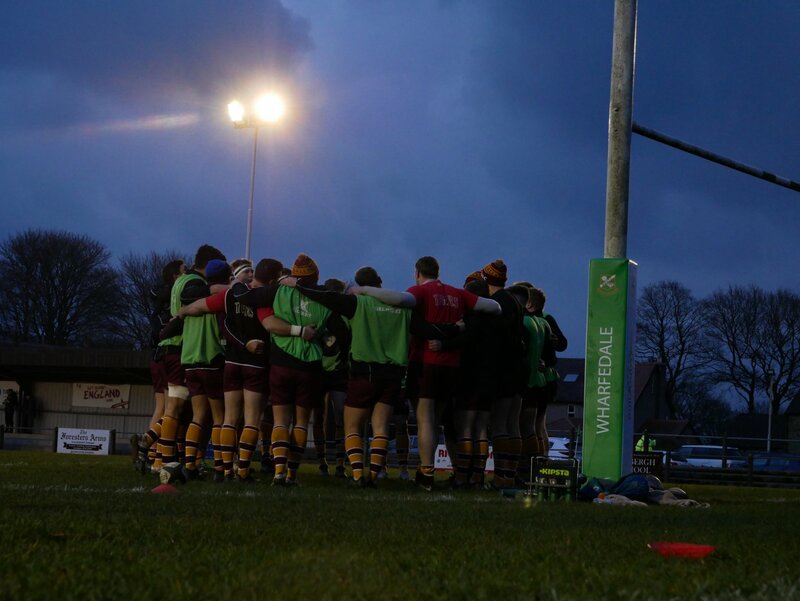 After all the hard work this season, it’s nearly time for one of Chinnor and Sedgley Park to take the next step. The stage is ready for another intriguing and dramatic National Two play-off.